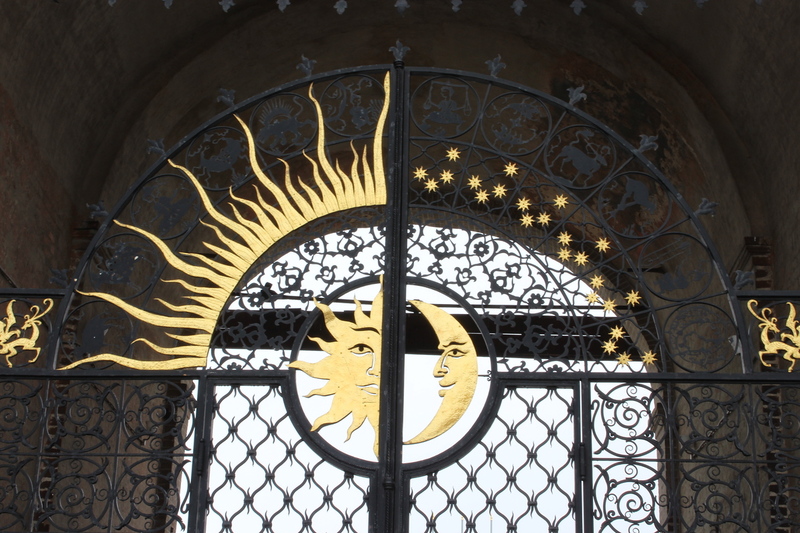 Where does Europe and Asia share influence over a beautiful and quaint city? In Kazan. 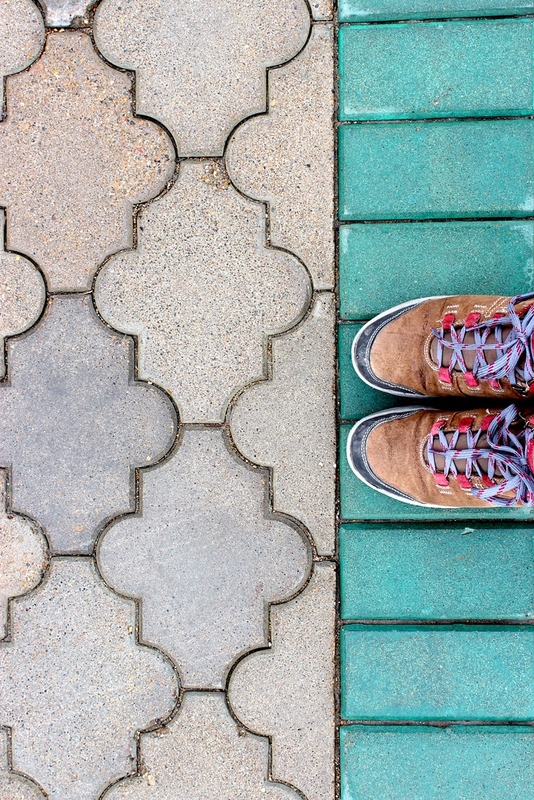 Where are the residents ethnically and religiously diverse, yet peacefully live together? In Kazan. This Russian melting pot is 150 years older than Moscow and is the capital of the Tatarstan Republic in Russia. 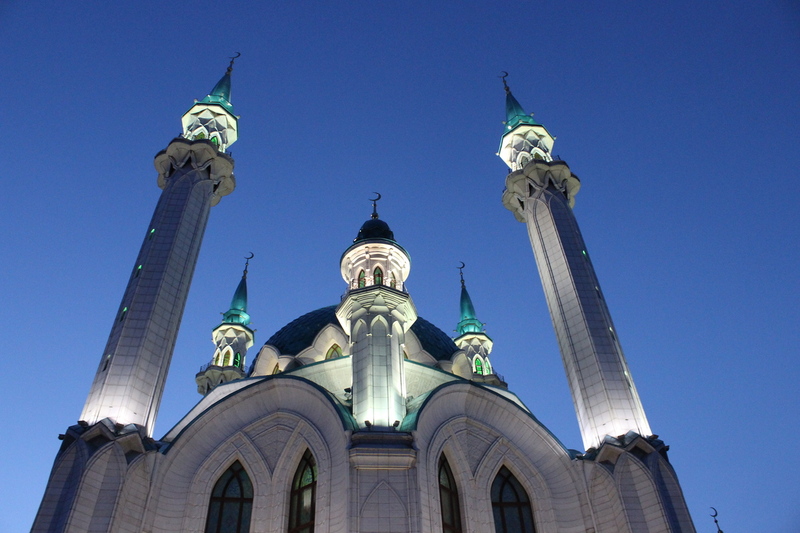 Kazan is the land of the Tatars, the Turkic people commonly affiliated with Chinggis Khaan. Do not confuse a Tatar as a Russian; their autonomy is strong. Once you realize the couple sitting near you in the restaurant is speaking Tatar, not Russian, you will also notice the bilingual menus and street signs. Do not fret — Tatar nationalism is far from radical. The local version of Sunni Islam is extremely moderate. Apparently the Russian government has poured money into the republic to keep it a loyal part of Russia, and for good reason. 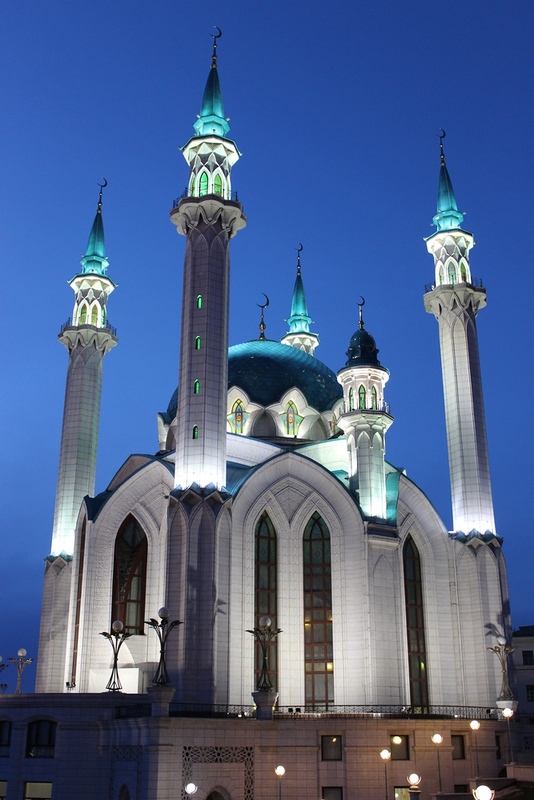 Kazan, and I assume the rest of the republic, is a cultural, religious, and architectural gem. The vast oil reserves certainly help too. Mongols controlled the land before Ivan the Terrible’s troops took power. Ivan quickly built a new Russian city. The architects responsible for St. Basil’s Cathedral in Moscow, which was constructed to honor the seizure of Kazan, designed the Kazan kremlin. 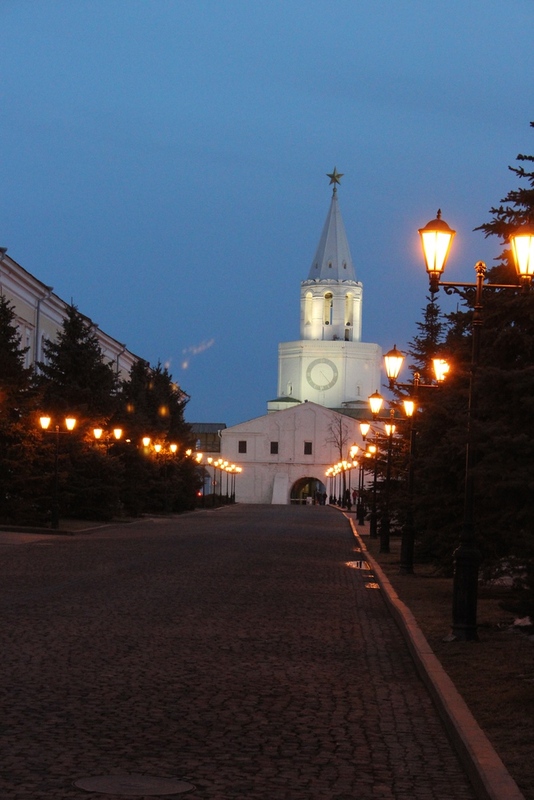 Kazan quickly became an economic and cultural powerhouse. 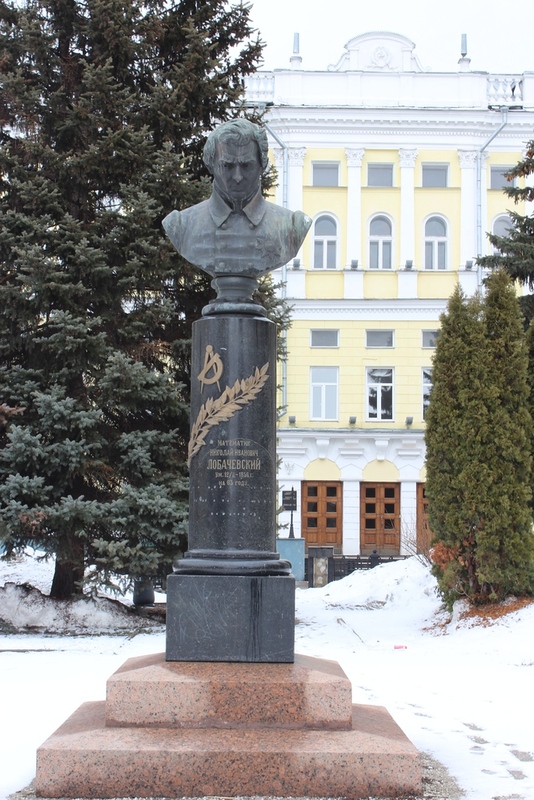 Russia’s third university opened here in 1804 with famous alumni such as Leo Tolstoy and Vladimir Ulyanov (aka, Lenin). Lenin actually was expelled from the university due to stirring political trouble. 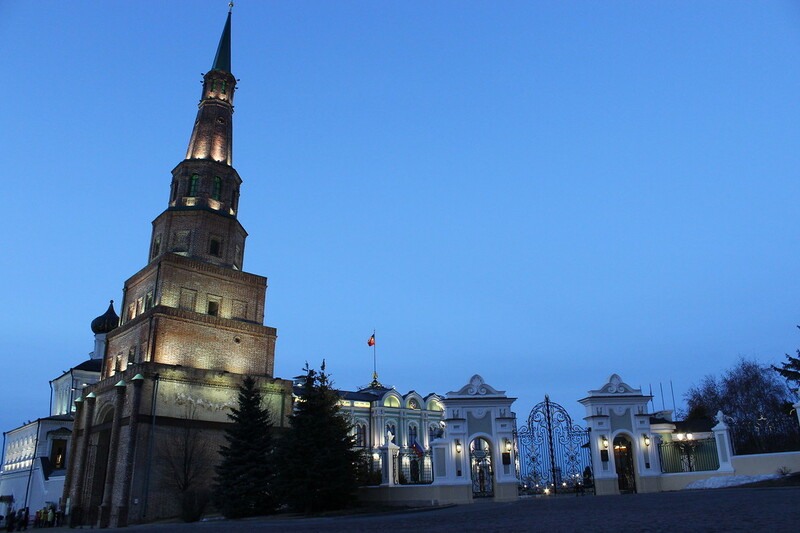 The kremlin is the main sight in Kazan, with government offices, several museums, and religious sites. Outside the kremlin’s entrance is the Musa Dzhalil Monument. 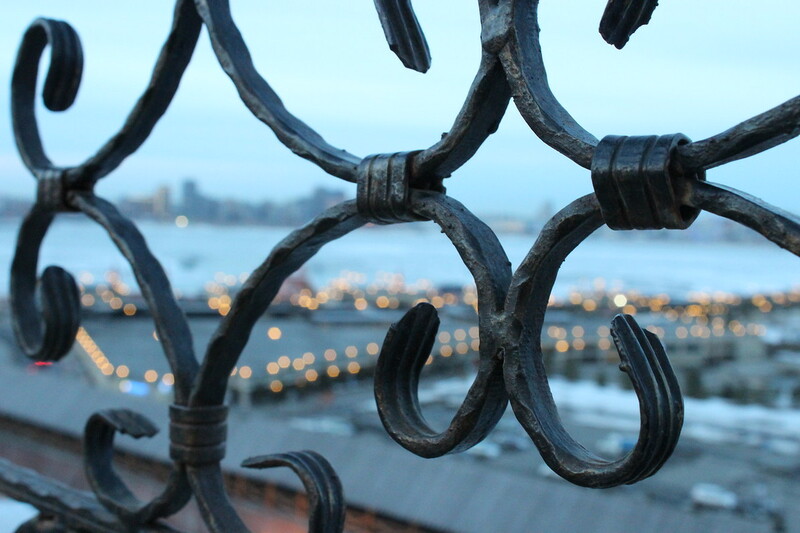 It features a bronze man tearing barbed wire to honor the Tatar poet who was executed by the Nazis in 1944. He left a notebook of poems to his friend. Follow the dominating spirals to the Kul Sharif Mosque, perhaps the main sight in the kremlin. 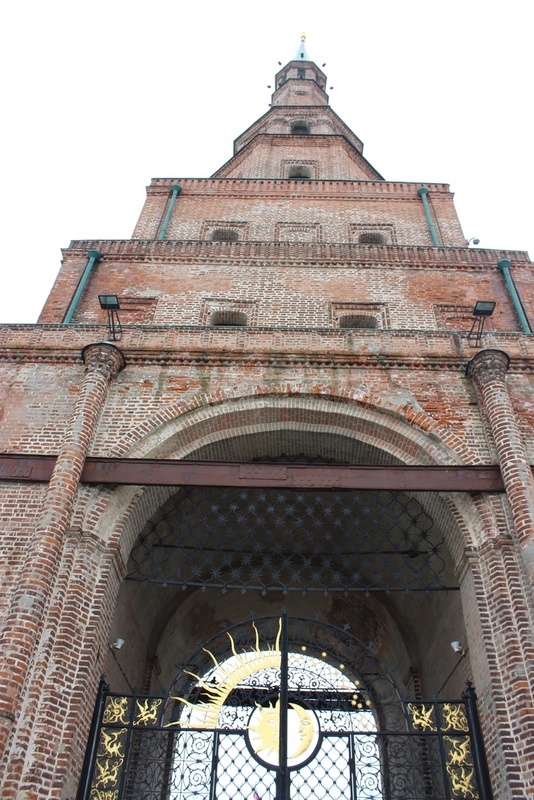 Completed in 2005, the mosque is named after the imam who died defending the city against Ivan the Terrible’s troops. 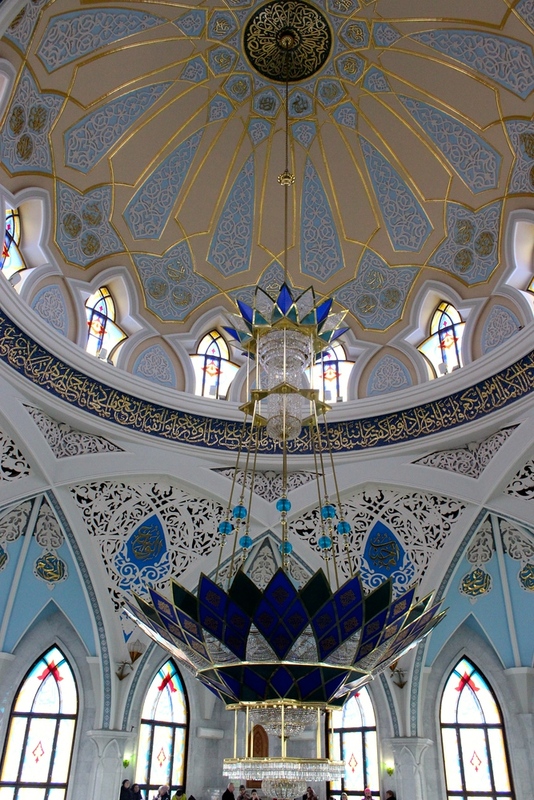 There is a museum inside which tells the story of Islam on the Volga and costs 100 roubles, however entrance to the mosque is free. View the Syuyumbike Tower, the 59m-high romantic legend. 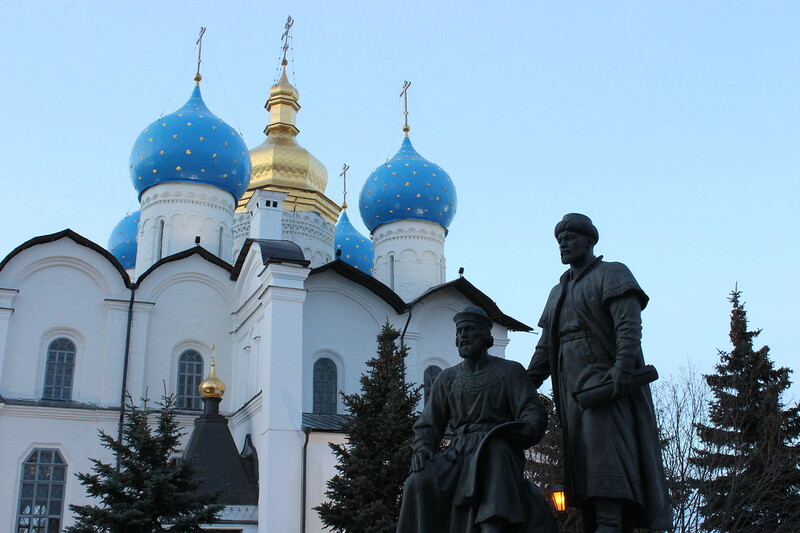 Local legend tells that Ivan the Terrible wanted to marry Syuyumbike after the seizure of Kazan. She did not want to marry the ugly, paranoid dictator and, out of desperation, agreed to marry Ivan if he built her a tower higher than either of them have ever seen. Once the tower was complete, Syuyumbike threw herself from the top. 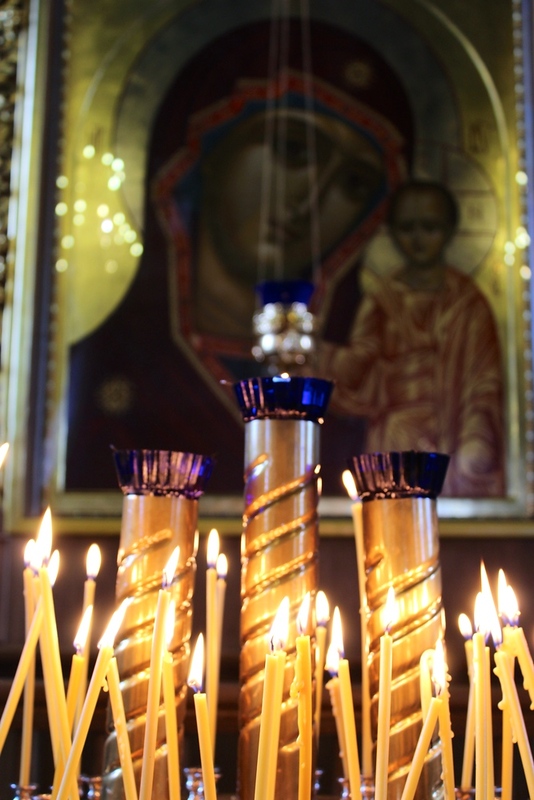 Other favorite spots are the Annunciation Cathedral and ledges views of the Kazanka River. Take your time wondering the Kremlin during the day, but be sure to visit again at sunset. Watch as the city lights flicker on, boats slowly chug across the river, the sky turns to a brilliant blue, and couples stroll along cobblestone streets. Kazan is small, but don’t let this fool you into thinking there isn’t a lot to do. I spent so much time in the kremlin during my two days in Kazan that I barely visited other places. I stopped by the Tatarstan National Library for an English tour, which is necessary to visit the library, but unfortunately there was only one much later in the day and I already had plans. On my itinerary was also the Soviet Lifestyle Museum, a very unusual museum. It is packed with knick-knacks from the 70s and 80s. Although it was neat to see thousands of random things from the Soviet era, I have two complaints. First, items were not well-labeled. For example, a glass box full of perfumes had tape on the outside of the box with “perfume” written in Sharpie. Nothing was explained about how accessible these perfumes were or where they came from. Some perfumes were Western brands, so I assume they entered the USSR through the prominent black market, however this was not clarified. Finally, I think the museum portrayed the USSR culture in a very positive light without any explanation of negative aspects of the culture. Shouldn’t both sides be shared? 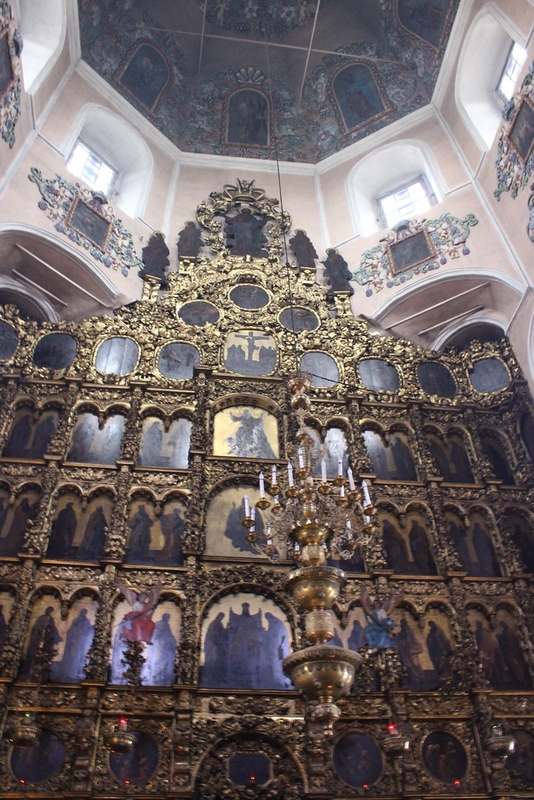 Last on my itinerary was the slightly eerie, yet gorgeous, SS Peter & Paul Cathedral. 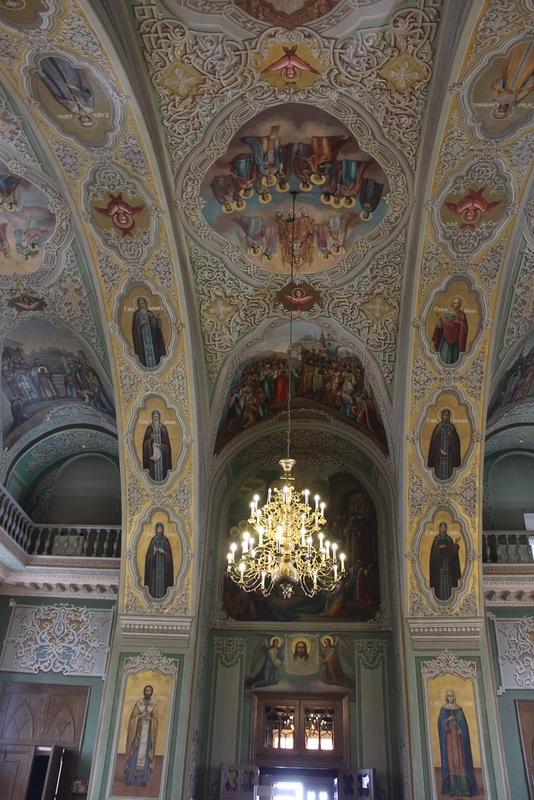 Even if you’ve visited enough Orthodox cathedrals while in Russia, visit this one for the views of the city. This cathedral is an easy walk from the kremlin. Kazan is very popular amongst foreigners riding the Trans-Siberian Railway and Russians. 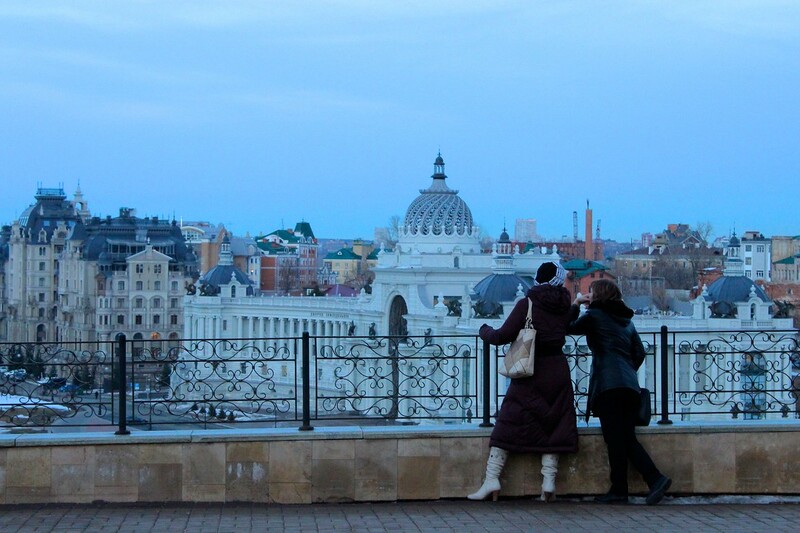 As much as I would like to keep Kazan a secret, the city is too beautiful to be selfish. 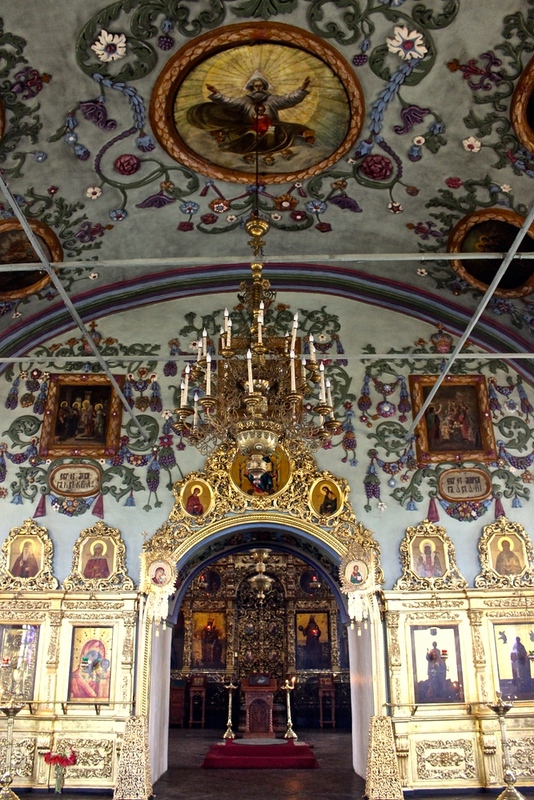 Are you looking for an off-the-beaten-path destination in Russia? 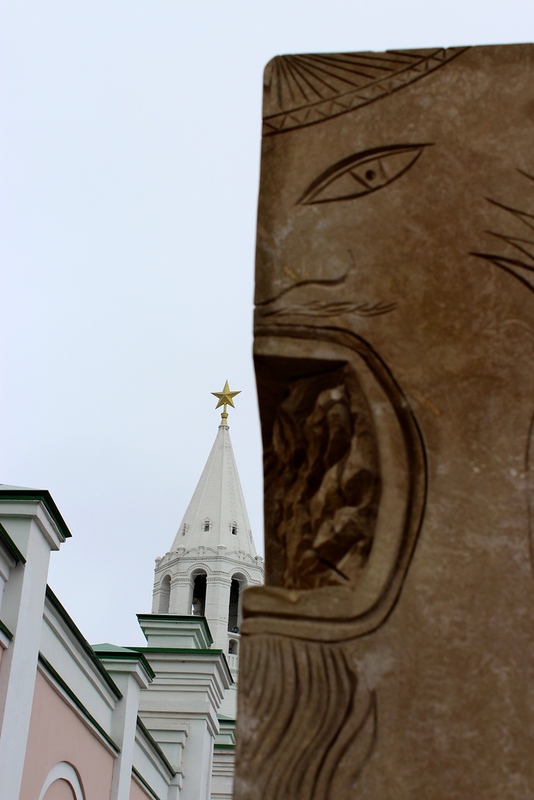 Kazan is it, and here are a few reasons why. Tourism infrastructure. Although not on the traditional Russian backpacker trail (aka, Moscow and Saint Petersburg), the tourism infrastructure is excellent. Maps are widely available. English speakers are not extremely difficult to find. Many designer hotels and hostels exist. Delicious restaurants are easy to come by. Plenty of activities are available to fill your time. Meet locals. Not many English-speaking tourists make their way towards Kazan, so when they do the locals want to meet you. They will treat you kindly, help you, and may even ask you questions about your home. Do not be afraid to spark a conversation! Coexistence. 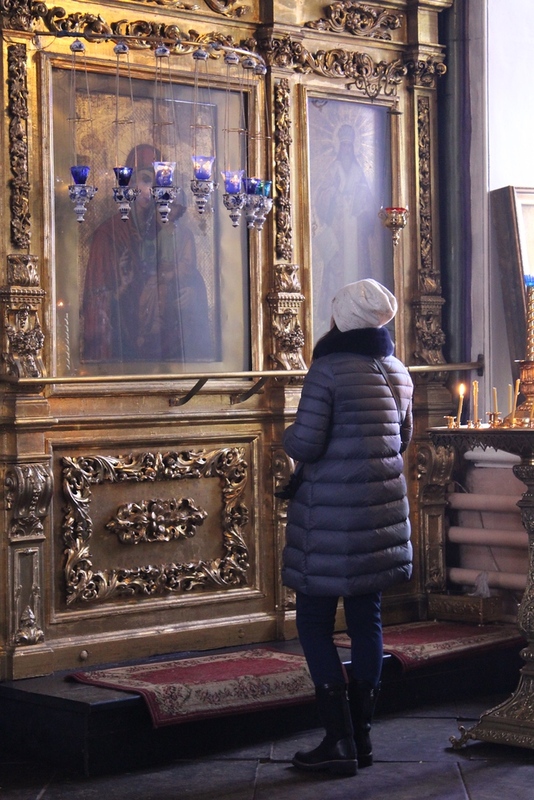 With a world rampant with bigotry, it was refreshing to see Tatars and ethnic Russians and Muslims and Orthodox Christians peacefully coexist. Smiling is inevitable when you see a young Muslim woman wearing a hijab and a young Orthodox Christian woman wearing a headscarf walking arm-in-arm from school. Beauty. 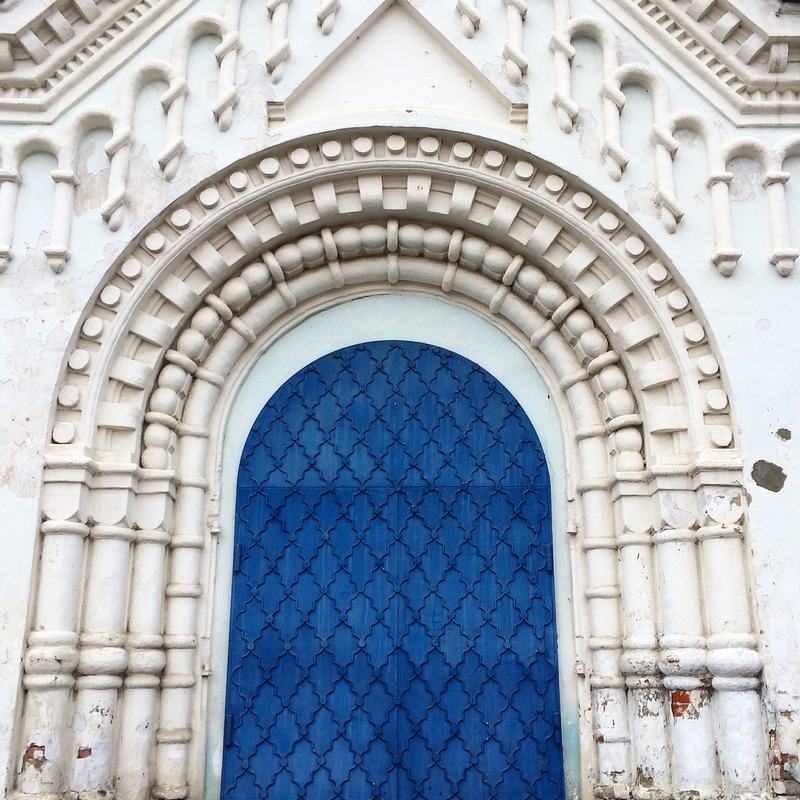 Revisit the photos in this post if you do not agree Kazan is stunning. Inexpensive. Since Kazan is inland, tourists are deterred from traveling here. Russia is already quite inexpensive, but getting out of Moscow or Saint Petersburg decreases prices even more. One of my dreams is to ride the length of the Trans-Siberian Railway. At first, I thought visiting Kazan would remove the city from my necessary stops on the train. Now I realize riding the train gives me an opportunity to visit yet again. Kazan, until next time. Is Kazan on your bucket list?